Home / Predictions / Music / Grammys / 2017 Grammy Winner Predictions: Will Beyoncé Finally Win Album of the Year? 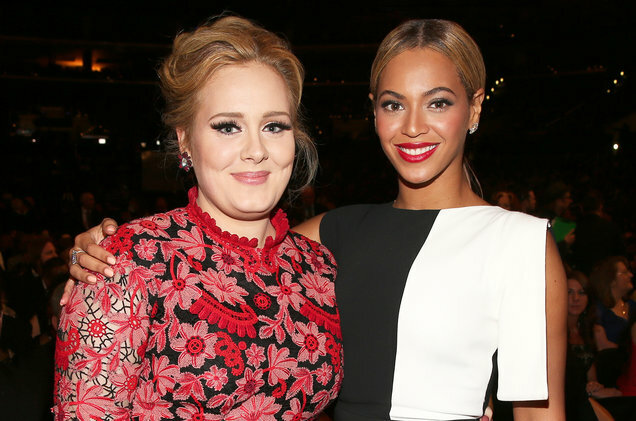 Adele or Beyoncé? Beyoncé or Adele? Who will win Album of the Year? The 59th Grammy Awards are just over a week away, February 12th to be exact, and I have my predictions in no less than 32 categories covering the General Field plus Pop, Rock, R&B, Rap, Alternative, Country and Music for Visual Media. At 62 nominations, Beyoncé is the most-nominated female in Grammy history. Her 20 wins are second only to Alison Krauss (27) and she is tied with Adele, no less, for the most Grammy wins by a female artist in one night (6). This year, her nine nominations cover more categories than any other artist. Besides the General Field, where she’s nominated for all three – Album of the Year, Song of the Year and Record of the Year – she also has nominations in Urban Contemporary, Pop, Rock, Rap/Sung and Visual Media. But for all of her accolades, she has never won the top award, Album of the Year. It seemed like she was going to with Beyoncé in 2015 until Beck came in and swooped it. Lemonade is her 4th Album of the Year nomination and it would appear that her biggest competition there would be, yep, Adele with her 10M plus selling 25. A previous winner of Album of the Year, Adele could come right after Taylor Swift to become one of only two female artists to win Album of the Year twice. I’m predicting Bey to finally prevail here but the Grammys have proven that they are more than willing to go against the grain. But, since there isn’t a Beck or Paul Simon or Steely Dan to secure the ‘old white man’ vote, her chances look pretty good. Now watch Justin Bieber or Sturgill Simpson win. Despite being snubbed in the General Field, I’m predicting David Bowie to earn a couple of posthumous wins in the Rock categories, The Chainsmokers to win Best New Artist (but watch out for Chance the Rapper) and Pop Duo, Drake to rule the Rap section and the Country field to see wins from Miranda Lambert, Sturgill Simpson and Pentatonix with Dolly Parton. There will also be tributes to Prince and George Michael. The 59th Grammy Awards will be held live on Sunday, February 12th at 8pm EST/5pm PST in Los Angeles and hosted by James Corden.